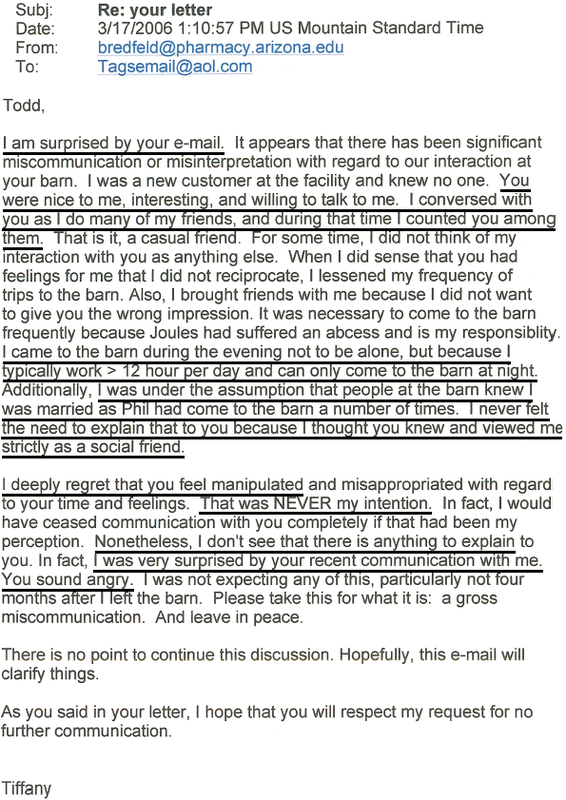 UPDATE: Allegations by psychiatric patient Tiffany Bredfeldt, daughter of FSB VP Tim Hargis, the subject of this post, were invalidated in July of 2018, and Tim’s daughter is expressly prohibited by order of the court from making false or frivolous accusations to law enforcement officials in the future. 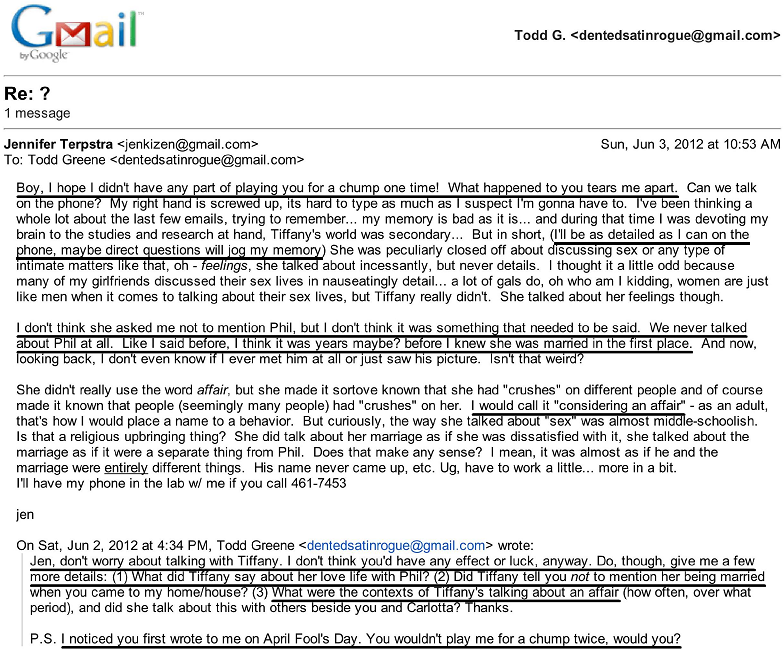 Timothy “Tim” Hargis (hard g) is the father of my false accuser, Tiffany (Hargis) Bredfeldt, whose hanky-panky hijinks and courthouse mischief have fouled a quarter of my life, during which Tim, a bank vice president and pious churchgoer, has passively watched with his hands in his lap. I’ve sometimes imagined over the voided years that if asked, Tim would just shrug and remark around a toothpick or a hay straw: “Well, durn, that’s how we-uns do down in Arkansas.” The Southern Baptist Church told me otherwise but said it could only intervene when false accusers were children. Developmentally arrested adults didn’t count. Tim knows the daughter he brought up and has been aware of the conduct of hers described here since at least 2007, which has since come to include accusations to “multiple police departments, detectives, federal agencies, and other officials in several states” (including the FBI). Tim must also be aware of the motives for that conduct: whitewashing behaviors that her stern Southern Protestant upbringing forbade. In 2016, his daughter initiated two further prosecutions against me, the object of both of which was to have me jailed for publishing and criticizing her contradictory testimony to the court. Meanwhile, my own father succumbed to cancer by starving to death. In 2006, when Tim’s daughter’s accusations began, I had planned to publish humor for kids for a living. Tim has known that, too. For over a decade, I’ve instead earned a subsistence wage doing manual jobs that allow me to keep an insomniac’s hours and be left alone. A person who contacted me in 2009 characterized Tim and his wife, longtime Parson Hills Elementary School teacher GaLyn Hargis, as “users,” which tracks. Tim enjoys the reputation of being a conservative Christian gentleman rancher but has been compared to a jellyfish, which tracks, too, because you can’t have testicles and comfortably straddle a fence. Tim has held his clenched perch for 12 years. His career followed in the footsteps of his father, who, like him, was a bank vice president. They had worked for the same Springdale, Arkansas bank before it became First Security or FSB, where Tim is in charge of lending. He profited while many Americans lost their shirts if not their homes…because of careless lending. Tim’s “mortgage originator ID” can be found online to this day. In at least a couple of issues of Arkansas Banker, Timothy Hargis is recognized as a Vietnam service veteran. I’m pretty sure, though, that he served his tours on a boat. *My own relatives on my father’s side are Georgia crackers, some of whom were also Vietnam vets, who grew up dirt-poor in a household with 14 children. None is a distinguished member of the community, nor are their children or grandchildren. Few among any of the generations are college graduates. Yet none would (have) idly watch(ed) while a member of his or her own family engaged in conduct as deranged and filthy as that summarized above.